List of top 10 destinations of 2017 is based upon Traveler’s Choice awards by Tripadvisor. Tripadvisor advice are based upon over 500 millions reviews and rating. Not only destinations but Tripadvisor also give advice on hotels, restaurants, low airfares and other attractions. Tripadvisor is an American Travel website company founded by Stephen Kaufer in February 2000 at Needham Massachusetts of United States with the motto of “Know better, book better and go better”. The world’s largest travel site awarded top destinations of 2017 according to popularity of destination and Traveler’s Choice. These awards were according to quality and quantity of reviews and ratings of hotels, restaurant and attractions gathered worldwide within 12 months period. Bali is an Indonesian island known for its art, culture and recreation. Bali is the most popular island holiday destination in the Indonesian archipelago. Bali is also known for its forested volcanic mountains, iconic rice paddies, beaches and coral reefs. It is also home of religious sites such as Cliffside Uluwatu Temple. 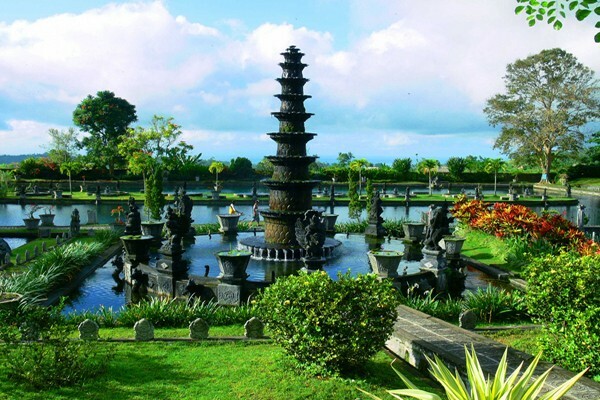 In recent days Bali is also famous for its yoga and meditation retreats. Bali is almost totally depends upon tourism. Around 80% of its economy depends upon tourist related activities. Tripadvisor awards Bali on top of world’s best destinations in its Traveler’s Choice award 2017. London is one of the world’s top tourist destinations. According to Traveler’s Choice awards of Tripadvisor London is at second position in the list of top 10 destinations of 2017. Last year London witnessed around 20 million visitors. 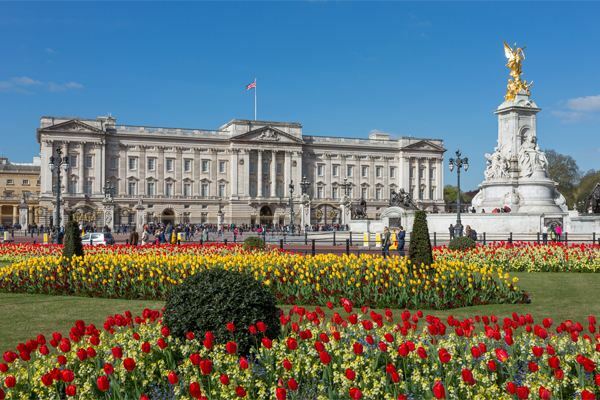 Buckingham Palace is one of the most popular tourist attractions of London. Other places which make London world’s best tourist destinations are Tower of London, Big Ben, London Eye, River Thames, and Tower Bridge etc. This is a small list but there is much more to do in London. London is a diversified place where people from all communities lives together. Paris is capital of France and it is one of the major tourist attractions of the world. 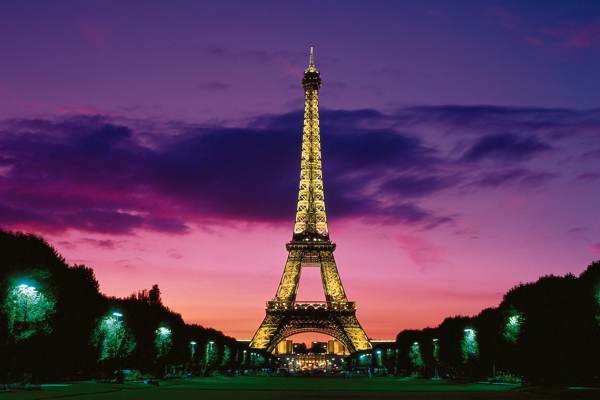 Tourism is the major source of income in Paris and it is among the most visited cities in world. One of the most popular places of attraction of Paris is Eiffel Tower, which is also acknowledged as the universal symbol of Paris and France. Other places to visit in Paris are Arc de Triomphe, Orsay Museum, Louvre Museum, Disneyland Paris, Norte –Dame de Paris and The Sainte Chapelle. Paris is at number three of the top 10 destinations of 2017 according to Traveler’s Choice award. Due to the immensity of its archaeological and art treasures Rome is one of the most famous tourist destinations of the world. Rome is at 4th position in the Traveler’s Choice award 2017. Vatican Museum and Colosseum are the two most popular tourist destinations of Rome. 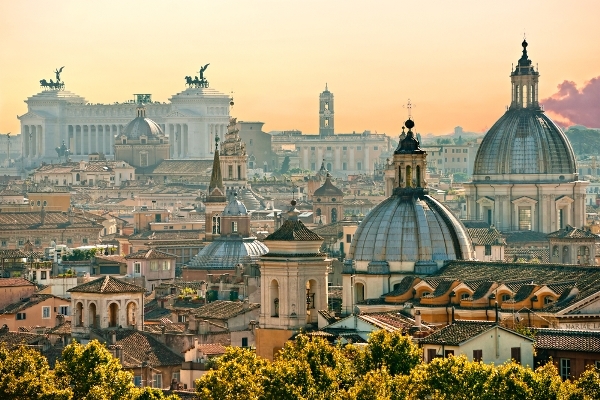 Some of other popular places of tourist attractions are St. Peter’s Basilica, Forum Romanum, Villa Borghese Gardens, Palazzo Barberini, Lateran Palace, The Pantheon, Trevi Fountain, The Spanish steps. In number five of Traveler’s Choice award of best destinations, New York City is there. 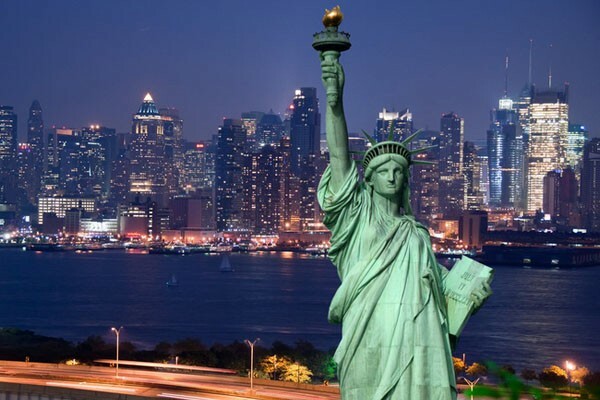 New York City receives over 60 million foreign and inbound tourists each year. New York City has become one of the top family tourist destinations over the years. There are lots of educations and fun family attractions in New York City. Some of major destinations are Empire State Building, Ellis Island, Statue of Liberty, Central Park, Times Square, New York City comprises 5 boroughs setting where the Hudson River meets the Atlantic Ocean. Crete is the largest island in Greece and also knows for its varied terrain, which ranges from fine sand beaches at Elafonisi to the White Mountains. 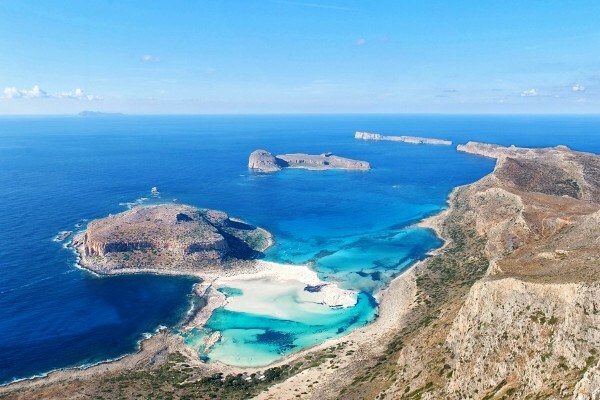 Crete is one of the most popular holiday destinations in Greece. There is significant increase in number of tourist due to its popular attractions and archaeological sites and Minoan Civilization, The Venetian Old city and port of Chania, The Venetian Castle, Gorge of Samaria, Island of Chrysi, Elafonisi and Palm Beach of Vai. And due to its beauties and treasures Crete is one of the top best destination of 2017 Traveler’s Choice award. At number seven of Traveler’s Choice award for top best destinations of world 2017 is Barcelona. Barcelona has become one of the main tourist destinations of Spain. Barcelona sited between the sea and the mountains. Barcelona is full of charm. 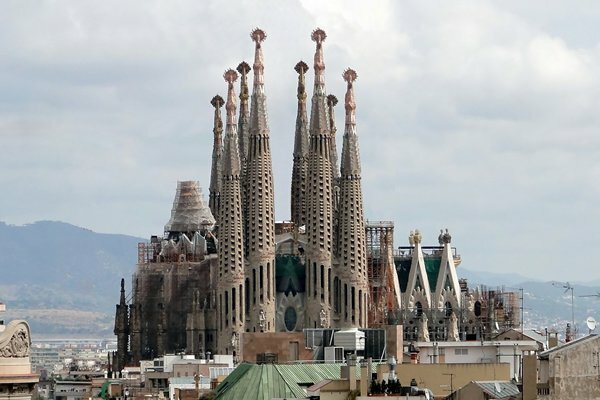 Some of the main tourist attractions of Barcelona are Sagrada Familia, Las Ramblas, The Magic Fountain of Montjuic, La Pedrera, Barcelona FC Museum, and Picasso Museum. Barcelona attracts lots of tourist every year due to its stunning seaside city and life style. Siem Reap is the major tourist hub in Cambodia because it is the closest city to the world famous temple of Angkor. Siem Reap is a fast growing city plenty of new hotels, restaurant and nightclubs. 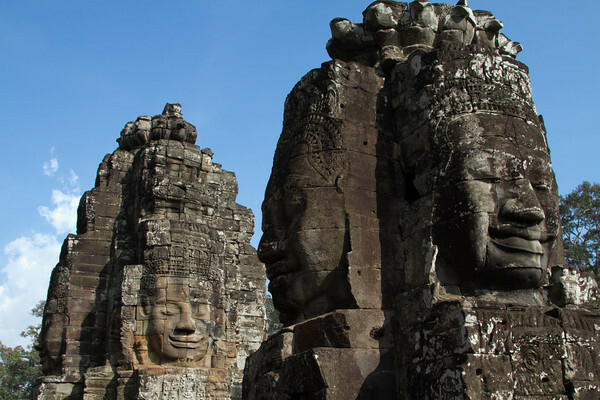 Siem Reap in Cambodia is the primary gateway for the Angkor Archaeological Park, among its other places of interest are Angkor Wat, Bayon Temple, Ta Prohm, Angkor Thom, Bunteay Srei, Preah Khan and Backstreet Academy. This beautiful place attracts million of visitors every year and it was awarded one of the best tourist destinations by Tripadvisor Traveler’s Choice. On ninth number of Traveler’s Choice award Prague of Czech Republic is among top destinations of 2017. 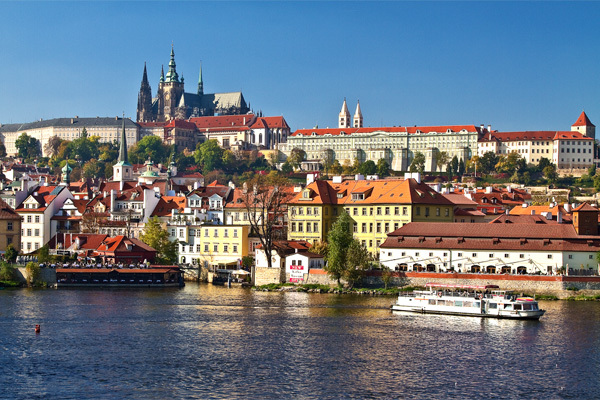 Prague is also known as “the city of a Hundred Spires”. Prague is the capital of Czech Republic and one of the largest city. Prague is a place of historical and cultural sites. Some of the best tourist attractions of Prague are Charles Bridge, Prague Castle, St Vitus Cathedral, Prague Astronomical Clock, Old Town Square, Petrin Lookout Tower, Dancing House and Clementinum. Phuket is at number ten according to Traveler’s Choice award for best tourist destinations of 2017. 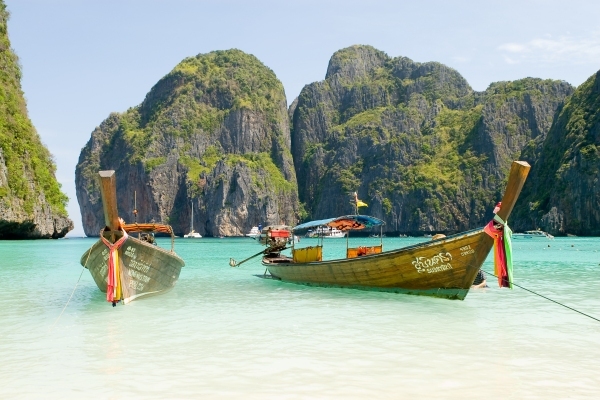 Phuket is a rainforest, mountainous island in Andaman Sea. Phuket has some popular beaches with clear water of the western shore. Some of the major tourist points of Phuket are Patong, Karon Beach, Phuket Fanta Sea, Wat Chalong, Big Buddha Phuket, Siam Niramit etc. Because of its natural reserves Phuket is among the top destinations. This place holds a special place in million of visitors who visit this beautiful place. Among these top 10 destinations by Tripadivsor, Traveler’s Choice some other places are Istanbul – Turkey, Jamaica, Hoi An – Vietnam, St. Petersburg – Russia, Roatan – Bay Island, Marrakech – Morocco, Ambergris Caye – Belize Cayes, Rio de Janeiro – Brazil, St. Maarten – St. Martin, Playa del Carmen – Mexico, Dubai- United Arab Emirates, Grand Cayman- Cayman Islands, Kathmandu – Nepal, Bora Bora – Society Island and Cusco of Peru. Beautiful images! Great information! Thank you for sharing! Thanks for liking my post. Keep in touch. Good day. Thanks for visiting my blog. Good day. Keep in touch. Thanks for visiting my blog and adding your valuable comment. All the places are absolutely picturesque!! Great post and thanks for sharing!! Thanks for visiting my blog and nominating me for the Unique blogger award. Keep in touch. Good day. Thanks for your writing. It was really good. I liked it. Thanks for liking my post and adding your valuable comment. Thanks a lot for following me. Good day. I’ve enjoyed visiting your blog. Thanks for all the info. Its my pleasure that you like my blog. Thanks for following, Keep in touch. Good day. Phenomenal list!! Such a beautiful looking mix! Thanks a lot for appraising my blog. Keep in touch and good day. Thank you for following, Elm Drive Images. Its my pleasure and thanks for following me too. well, now that you’ve listed all these wonderful places, maybe now you should give a free trip to one? just kidding. ha ha, thanks for your wonderful comment. Keep in touch and good day. Thanks for such a wonderful comment of yours. Keep in touch and good day. Thanks for liking my blog and adding your valuable comment. Keep it touch. Good day. What a great post! I extended my ‘to visit list’ 😍 Thank you for sharing! Thanks for your valuable comment and list is much more and keep extending it. Good day. Keep in touch. So list is here and explore the world. Thanks for visiting my blog and adding your wonderful views. Keep in touch and good day. Thanks a lot and keep in touch . Good day. Its my pleasure and thanks for following me too. Good day and keep in touch. Italy and Spain are a must. The history and culture is such a different taste. Thanks for visiting my blog and for your valuable comment. Good day and keep in touch. A amazing list. Traveling to wonderful places. Best days of a life. My favorite place was Basel, Switzerland. Multi-culture and kind people. Also tasty wine and so much o ne seem. In the USA. Monterey, California/Big Surf and Upper Michigan. God’s country. Thanks for your valuable comment and visiting my blog. Keep in touch. Good day. Yes, we all will live long and lets pray for our good health. Thanks for visiting my blog. Keep in touch. Good day. Yes, we all want to explore the world. Thanks for your comment and visiting my blog. Keep in touch. Good day. Amazing post, even I visited the Golden temple a few months back, it was simply out of this world, can’t describe it. It’s magnificence cannot be encapsulated by mere words.. Yes its totally superb place to visit and of highly importance. Thanks for visiting my blog. keep in touch, Good day. Hi – thank you for following aspi.blog. Since you mention London in this piece I draw your attention to the fact that I also have a London transport themed website, http://www.londontu.be. Excellent post. Thanks for visiting my blog and for your comment. Good day. Beautiful information, thank you for the follow , looking forward to reading more, nice meeting you ! Thanks a lot for visiting my site and your precious comment. Keep in touch and good day. Thanks a lot for your comment and visiting my blog. Keep in touch. Yes its on the list, thanks for visiting my blog and your comment. Keep in touch. My pleasure 🙂 I’ll,but after coming back from my holidays.Btw,so many thanks for following me. Love Paris and London, but being born in England not surprising. However, can’t beat Florida for the weather. Yes its really wonderful place. Thanks for your comment. Keep in touch and good day. Thanks a lot for visiting my blog and your precious comment. Keep in touch and good day. Thailand and Bali are both definitely on my wish list!!! Yes all of them are beautiful places and thanks for visiting my blog. Good day and keep in touch. Good list – but you can forget all these cities as far as I’m concerned. No doubt Kerala is a wonderful place. Thanks for your comment. Beautiful information, thank you for the follow . Very nice. I’ve been to five out of the ten. I look forward to being able to check out the other five some day. Thanks for the visit and follow. That’s great. Hope you will cover other soon. Take care and keep in touch. Wonderful destinations and stunning photos. Thank you for sharing and thank you for following BrewNSpew. Thanks a lot and kewp in touch. Tourism is killing the places it loves. Stay home and grow your own garden. Yes, its also a amazimg idea. Thanks a lot. Good day. Looks like I have a to do list for the next year! Yes and much more coming. Good day and keep in touch. Amazing post and blog. Thanks for sharing and enjoy the journey! Thanks a lot . Good day and keep in touch. I’ve always wanted to go to Bali, and a yoga retreat sounds amazing. The only other place on the list that’s compelling is Prague. For some of us, Rome, Paris, NYC, and London are over-rated. Are there any out-of-the way places no one has heard of that are great destinations? my blog. From your friend in the USA. Thanks a lot and keep in touch. Good day. Thanks a lot for such a lovely comment. Good day and keep in touch. Loved this post. Having lived in Prague for a year, I can heartily recommend it. However, it is a bear in the summer – too many people. Time to visit is in the winter when you can get to see everything and the colors of the city are enhanced by the sun low on the horizon. Thanks so much for following my blog – there will be a shout out to yours in a post shortly. No doubt Austraila is one of the best destination, but this list was according to the Tripadvisor. Thanks for your comment. Good day and keep in touch. Beautiful! Too many cities on the list for my liking but that is to be expected. It’s hard to argue with Paris. That is the most beautiful large city I’ve ever been to. Istanbul is the most interesting one though, and I’d recommend it over Paris to the more adventurous traveler. Also, if you go to Bali definitely go to Lombok too! Bali was so beautiful and I always want to go there! Thank you for the information! Your blog has such a wealth of information and beautiful imagery! I look forward to sharing the WP journey with you. Thanks for such a lovely words. Sure we will be in touch in future. Good day. We just got back from Bora Bora, French Polynesia. I think that should definitely be added to the top 10 in the future! Hi, loved reading this. Been here a few times however never left a remark. Dubai is also fantastic place to visit for a holiday. Yes it is a beautiful place. Thanks for visiting my blog. Tripadvisor is a nice and trusted site. Nice list here man..keep up the good work..
Want to visit all of those places! hope One Day I will !! Off course you will. Thanks a lot . Good day. Thanks for following my blog…! You’ve got some great material here…! Thanks a lot for your comment and appreciation. Good day. Yes it is really awesome, best place to relax and visit. Thanks for your comment. Good day. Yes, its among one of the best medium to search good hotels and rooms. Thanks for your lovely comment. Good day. Thanks a lot. Hope now your search is completed. Say hello to your father. Good day and keep in touch. Been to 5. That’s a good start.